The Zeitz Museum is well underway and we cannot contain our excitement for this revolutionary project any longer. The historical grain silos are situated within the 123-hectare mixed-use area at the V&A Waterfront. Set on the border of a naturally historic working harbour with an exquisite view of Table Bay and Table Mountain, the Zeitz MOCAA is situated in a perfect spot for both local and foreign feet. V&A partnered with renowned British designer Thomas Heatherwick’s team for this R500 million transformation, the Zeitz Museum of Contemporary Art Africa. The silo’s impressive height and stature will soon become a landmark of Cape Town. Salvaging the silo structure to house Zeitz MOCAA combines ingenuity, resourcefulness and beauty in a way that will be exclusive to Africa and lend respect to the work on display. 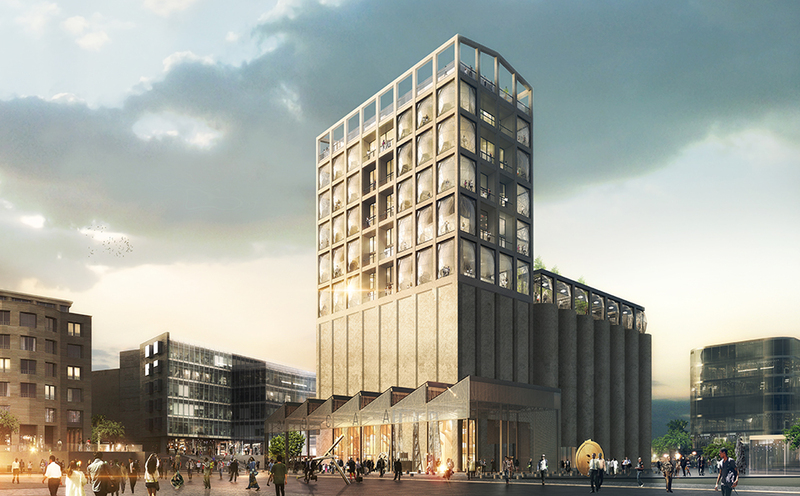 Zeitz MOCAA forms part of a master plan for the Silo district that includes mixed-use developments of residential, commercial, leisure and hotel property with the transformed Grain Silo as the central focus of a public plaza. Construction on the Grain Silo complex is due to be completed by late 2016. Zeitz MOCAA is expected to take occupancy in November 2016, with the museum officially opening to the public in February 2017.